Detailing the physical features, habits, territorial reach and other identifying qualities of the Soft-Bodied Tick. 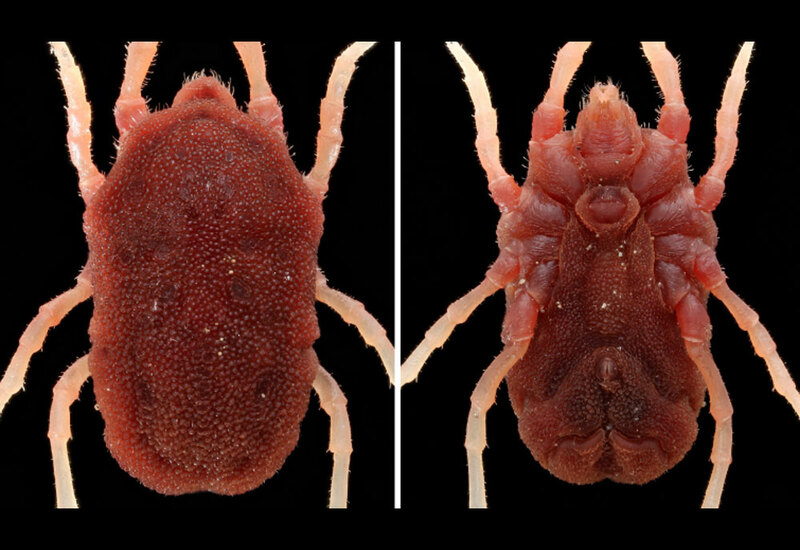 Soft-bodied Ticks are a group of parasitic, blood-sucking creatures that carry bacteria that can threaten the health of birds, livestock, and people. The genus Ornithodoros contains soft, globular ticks that inflate to round ovals after a long bloodmeal. Dark brown bodies have lighter legs that curl around hairs, fibers, feathers, and other objects that brush by them. Inside its digestive tract may be a host of bacteria that can make people sick. Bacterial spirochetes can be transmitted by bite from a tick to a human and cause Tick-borne Relapsing Fever. This illness causes a number of symptoms from fever, headaches, and chills to vomiting, delirium, and neck pain. Symptoms last around 3 days and come back after a week or so for months if not medically treated. A round of antibiotics can kill the spirochetes. Medicine hastens a full recovery. These ticks are frequently seen on birds. Handling wild birds or coming into contact with nests where ticks may hide can expose a person to a bite. If bitten, removing the tick by its head with a pair of tweezers helps ensure its mouth parts are pulled out of skin as well. Contact your physician if you have been bitten by this type of tick and start to experience symptoms related to illness.